With all the sewing I have been doing this week, there are a lot of little bits of fabric lying around. 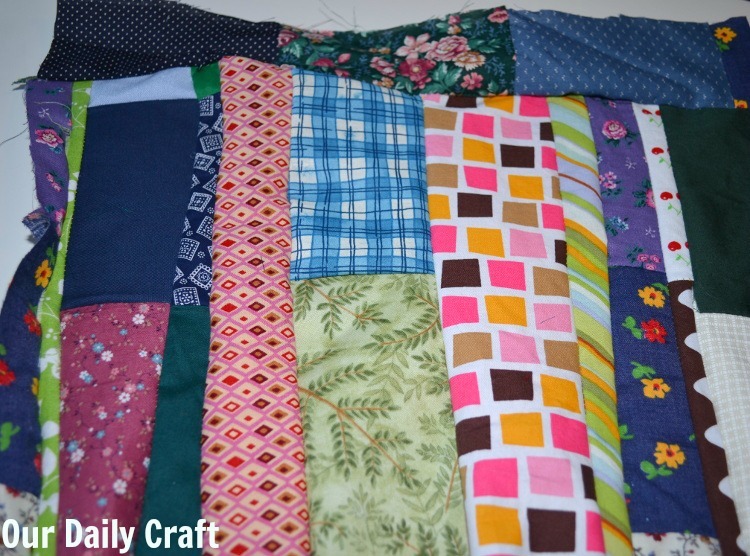 I decided to make fabric out of scraps that I’ll use for a project or two next week. 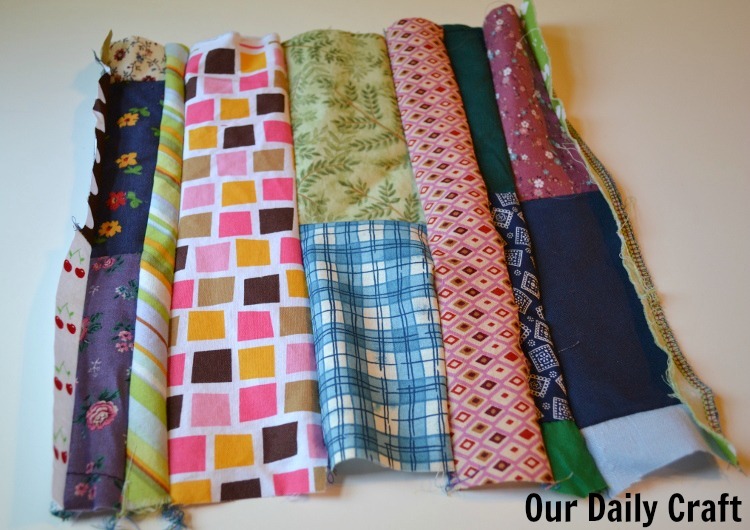 It’s a great idea to consistently do this with your fabric scraps to avoid having a big pile of little pieces in your work area. When it gets big enough, you can use it just like you would use regular fabric. 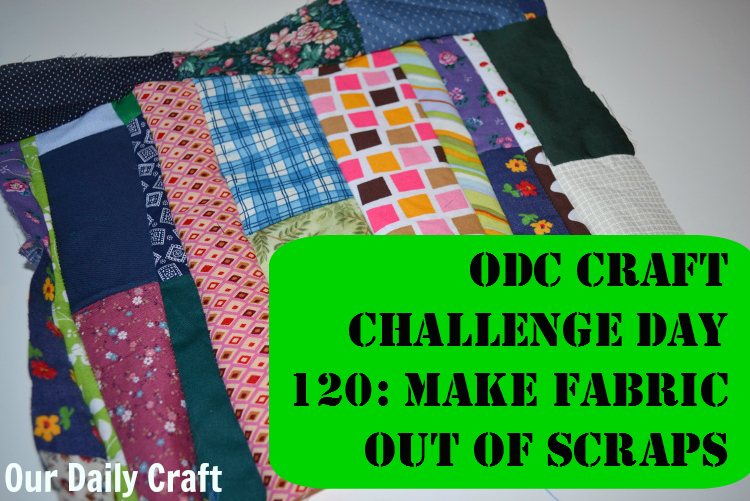 I happened to have a lot of strips from pieces I trimmed off the quilt or using fat quarters to make those placemats, so I ended up with some decent sized “scraps,” but you can do this with pieces of almost any size. Some of it I did on the serger and some on the sewing machine (if the pieces were really small and I wanted a narrow hem, because I feel more confident on the sewing machine, even compared to the serger with the knives turned off). I kept adding for a while. Right now it’s still a little wonky but it’s around 12 by 14 inches, which is a nice size to work with. I’ll press it and see if there’s one seam I need to fix, then maybe add a bit more to make it square. We’ll see. If you don’t sew or don’t happen to have a lot of spare scraps of fabric lying around, think about how you might use other crafty leftovers such as little pieces of paper, yarn or beads left over from another project. 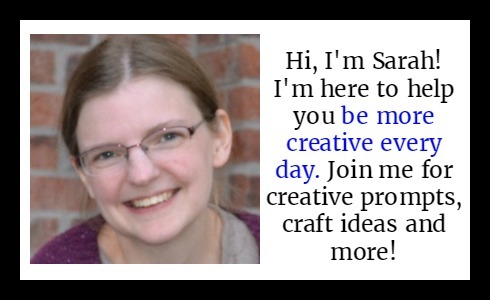 I’d love to see or hear how you use your crafty leftovers!